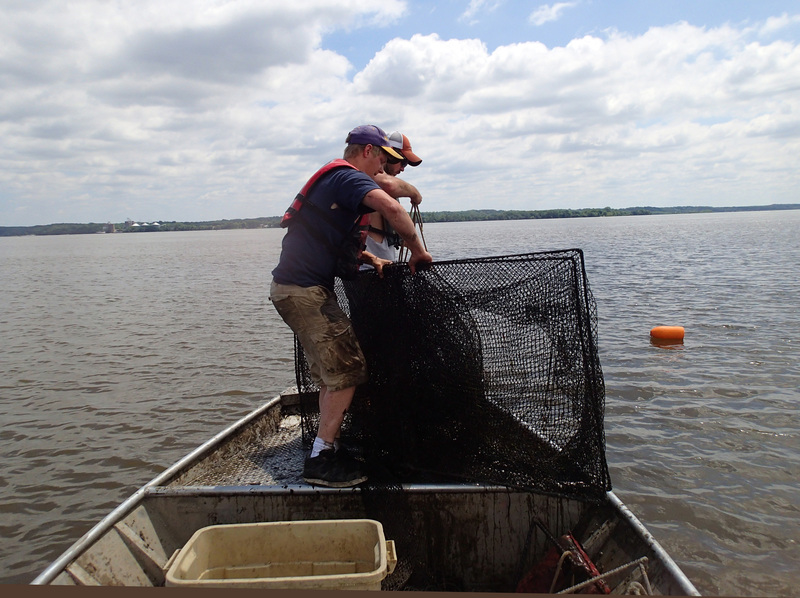 Eli Lampo, left, and Tad Locher pulling a tandem fyke net as part of the Asian carp habitat use study. 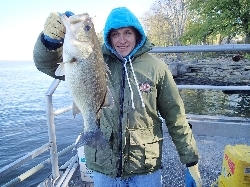 Cory Anderson displays a largemouth bass captured during electrofishing (diet examined as potential juvenile Asian carp predator). Eli Lampo is pictured in front of a paired tandem mini-fyke/tandem fyke net set in shallow water habitat. MACOMB, IL – Two Western Illinois University faculty members have been awarded a continuation of their grant funding to study the life history and interaction of Asian carp in the Upper Mississippi River Basin. The research is based at WIU's Alice L. Kibbe Field Station, located on the Mississippi River near Warsaw, IL. The station includes 222 acres of University-owned land and 1,260 acres owned by the Illinois Department of Natural Resources (IDNR). WIU Associate Professor of Biological Sciences Sean Jenkins and Kibbe Field Station Manager Jim Lamer have been awarded $30,000 by the U.S. Geological Survey (USGS) for "Ecological Studies on Asian Carp to Assess Habitat Selection, Migration, Feeding Behaviors and Potential Recruitment Constraints to Inform Control Measures." The research pair was also awarded $45,777 to begin the study in 2013. 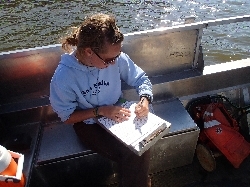 "Over the past two years we have developed a productive and rewarding relationship with the Upper Midwest Environmental Sciences Center (UMESC) (USGS, LaCrosse, WI) to investigate Asian carp life history and their interaction with native fauna as their densities continue to increase in the Upper Mississippi River Basin," said Lamer. "Each agency is working on different aspects of the project, bringing all the pieces together at the end for a comprehensive examination of Asian carp in the Upper Mississippi River." Jenkins and Lamer said they are hoping to add to the limited amount of information available about the habitat used by juvenile Asian carp. Their research is being conducted with the assistance of several graduate students in the WIU Department of Biological Sciences. "Habitat use by juvenile Asian carp is poorly understood within the invaded range of the Mississippi River Basin, but it is suspected that this critical life history stage utilizes shallow, nutrient rich habitats for recruitment and predator avoidance," said Lamer." The increase in Asian carp density and recent detection of eggs from several locations above Lock and Dam 19 (LD19) have created a need to better understand juvenile Asian carp behavior, be able to predict their preferential habitat use, and determine the role they serve as forage for our native predatory fish species." Pool 19, located just north of WIU's Kibbe Field Station, is unique among Upper Mississippi River pools due to its abundance of aquatic vegetation and shallow water habitats, which provide potential ideal areas for juvenile Asian carp. WIU researchers will sample random sites in the vegetated and backwater areas within Pool 19 through Oct. 31 to learn if juvenile Asian carp are present in those habitats. Habitat characteristics, including water quality, vegetation diversity and density, are measured as potential predictive variables. In addition, if Asian carp are found within a site, all potential predators in the area will be captured for study to determine if the carp are part of their diet. Researchers will also test the effectiveness of the molecular diagnostic methods through lab experiments to detect Asian carp within the diets of native predators. 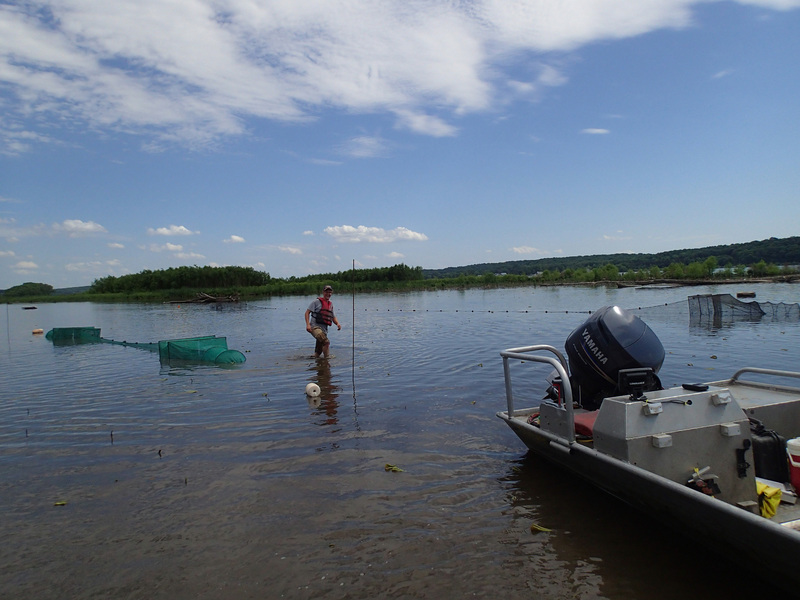 The results of the research will help with management and control plans for Asian carp as their numbers continue to increase through the Upper Mississippi River Basin. Four WIU graduate students are spending their summer as part of the research team. Cory Anderson, of Morrison (IL), and Rebekah Haun, of McNabb (IL), are graduate research assistants starting their second year of sampling through the grant. The two are researching the diets of potential Asian carp predators they collected from 168 sites within pools 19 and 20. Lamer is testing the diets of predators collected last year for the presence of Asian carp DNA. 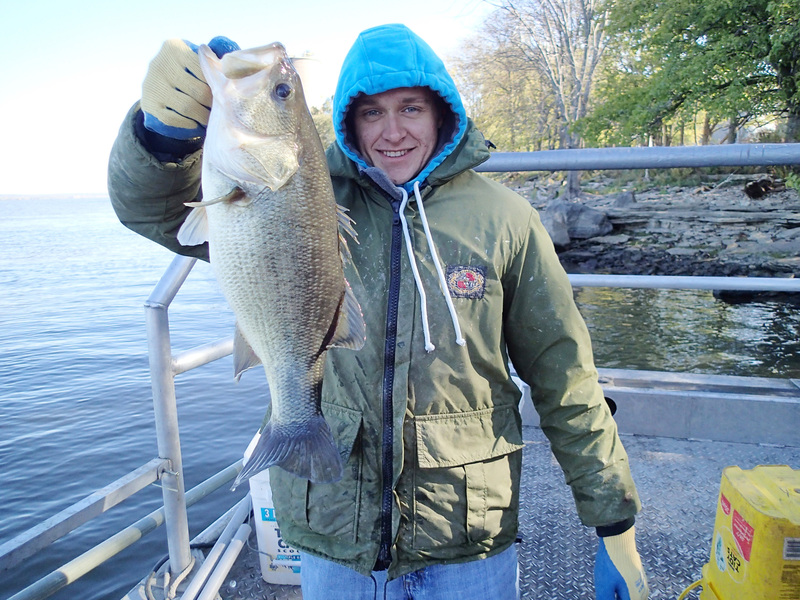 Newly accepted graduate student Eli Lampo, of Crystal Lake (IL), is starting his first summer of research with the team. 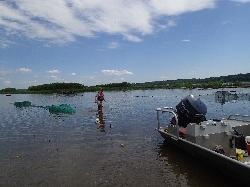 He is sampling 184 backwater and vegetated areas to assess habitat use by juvenile Asian carp and their potential predators. 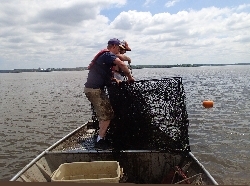 Graduate student Tad Locher, of Springfield (IL), is also helping with the grant research project, as well as doing his own research on quantifying Asian carp within the diets of adult blue catfish. The WIU Asian carp research program has also been structured to simultaneously provide information on the river's native fish community and allows for analysis of the fish community's structure and composition, diet and food web. For more information about the Kibbe Field Station, visit wiu.edu/kibbe.